Before I became a cat groomer, I believed these myths. Even though I’d worked as a veterinary nurse, shelter manager, emergency rescue tech, kennel staff and more, I believed that . . .
Nope. Luckily for me, since my life’s work is GIVING BATHS TO CATS, most cats are fine with baths. It’s the blow-drying that scares the bejeezus out of them. Nope. After shaving down more than a few matted long-haired, and even matted short-haired cats, I can honestly say that a big bunch of cats never got the memo that they’re supposed to be able to groom themselves. 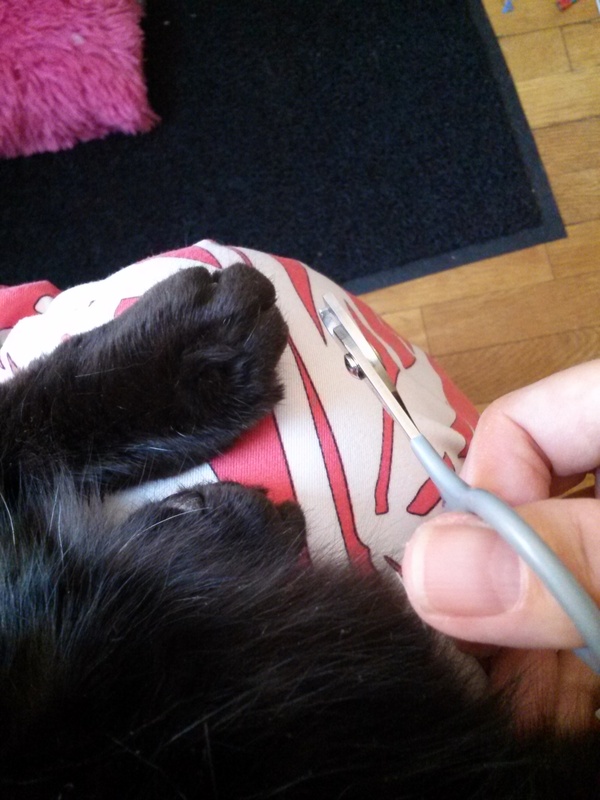 You don’t need to trim cat claws. They wear them down using scratching posts. Nope. Using a scratching post sharpens the claws. Sharpening is the opposite of trimming!